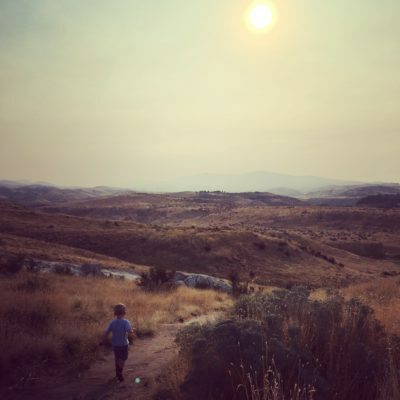 Many folks want to take their kids hiking in Boise, but they’re not sure where to go for an easy, pleasant experience for the whole family. Maybe you’ve had the same experience we have: five people walk into the woods, an hour later, two walk out, carrying the other three, who are all crying. 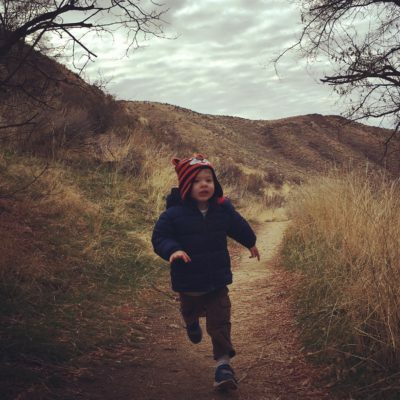 To avoid such misadventures, check out this guest post by Outdoors Mama Blog about hiking with kids! Loop. The loop takes you all the way down to the Penitentiary, and while it’s a fun clamber down, with nothing too technical for kids, you still have to make your way back up. We usually don’t do the whole loop, we’ll follow the trail west until it start to zig zag sharply down the hill, and turn at that point and walk back up. There are amazing views of Boise from this hill, and it’s worth it for that alone. 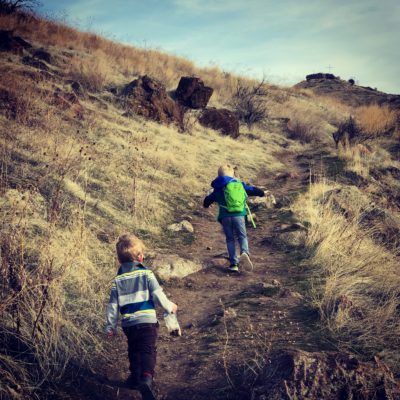 Our kids also love to clamber around on Castle Rock and we always stop for some trail mix at that point. This is not the trail for you if you want to feel as if you’ve taken the kids out into the wilderness, however, downtown or the houses of east boise are always in view. Elephant Rock is another great short loop for kids, with a big rock to climb all over. This trail feels wilder than the Castle Rock trail. If you climb to the top you get some amazing views over the city, but before you pop your head over the crest and see them, you feel like you’re deep in the foothills, miles away from the city. We’ve taken the bikes up this one too. 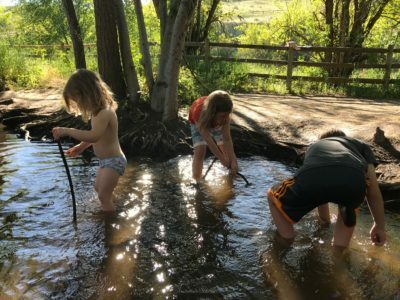 If your kids are still eager for more when you’re finished, head down to Cottonwood Creek trailhead and follow the Mountain Cove trail for a few hundred yards and they can splash around in the stream without venturing too far. 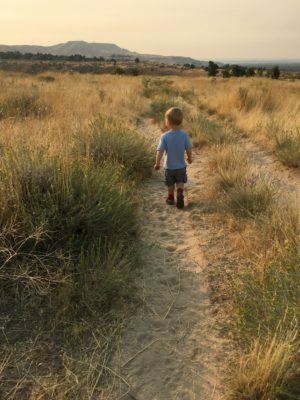 There are so many great trails that kids can enjoy that start at Camelsback Park. And bonus, you can lure them back to the car again with the promise of some time at the playpark, or even Goody’s for an ice cream! 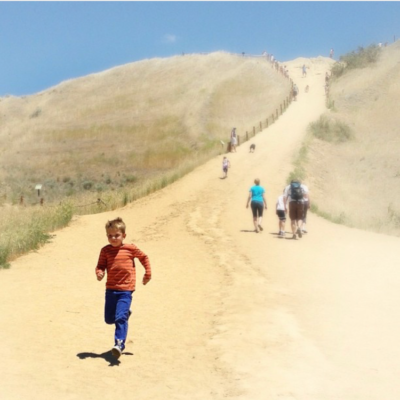 Start with the steep sandy hill to the top while they still have some energy, then explore the trails around the back, some of which wind around to the front more gradually. 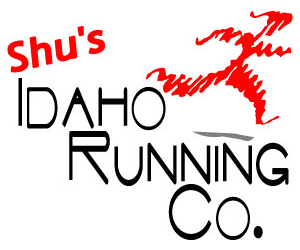 Or run back down if you dare – it’s a rite of passage for Boise kids! 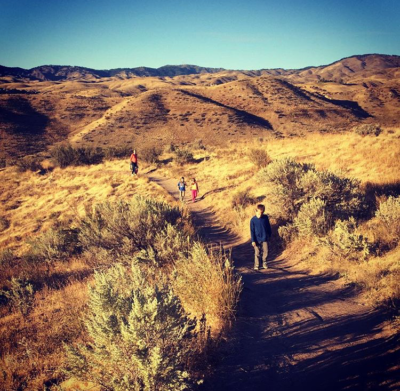 If you’re not used to hiking, these trails are a great option. Keep the app open and you can follow where you are on the interactive map to be sure you’re not heading too far from the park. 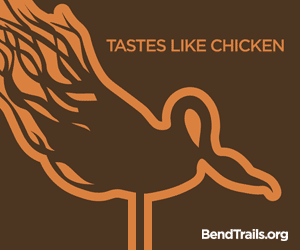 Park at The Grove trailhead, and then you can take Red Fox trail out and Chickadee Ridge back, or vice versa. These trails are slightly steeper, and overall the route is longer. 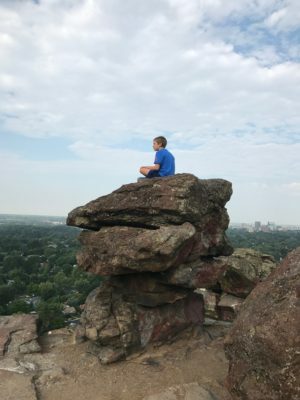 I wouldn’t take your kids on this for their first hike, but once you’ve explored Hull’s Pond and around Camelsback and are ready to try something a little longer, this is a great choice. We took our boys on a hike along Five Mile Gulch last year. 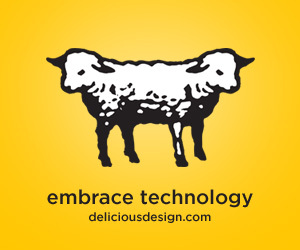 If you were to look at this on the map, there’s no way you’d consider taking your kids! It’s a 7-mile hike, with a decent amount of elevation. 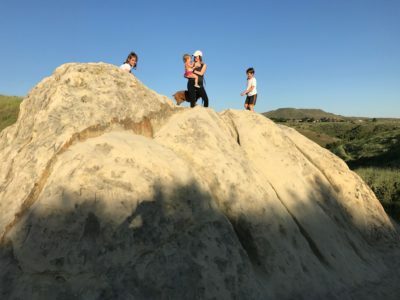 But I’ve always advocated that out-and-back hikes are the way to go with kids–just walk until you want to turn around, and things look new and different on the way back! We walked the first mile of it, ending at a bridge over the creek just as the trail started to ascend. It’s a lovely isolated trail if you really want to give the kids a feel for being out in the wilds – even the drive to it is fun for them! A new trail, not too steep, plus a creek or something to climb are the three things that make it fun for my kids, and this had all of them. It didn’t hurt that my husband got to ride the full trail and came back down to meet us for the last walk to the car!